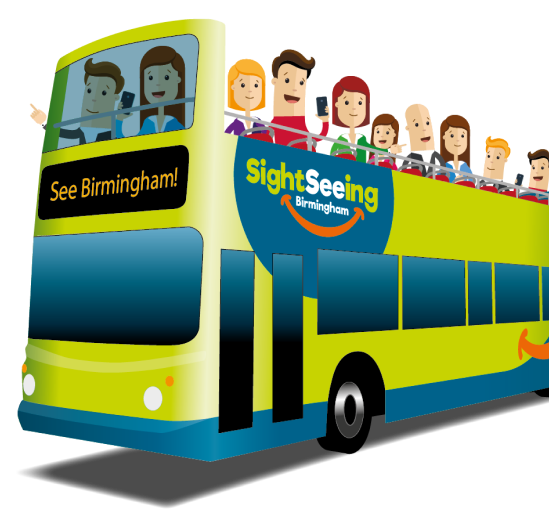 Book Online Today - See the sights of Birmingham on an open-top bus! Our first stop is on the prestigious Colmore More adjacent to the imposing St.Philips Cathedral, consecrated in 1715. It became a cathedral in 1905 and has four magnificent stained glass windows depicting the Nativity, the Crucifixion, the Ascension, and The Last Judgement. 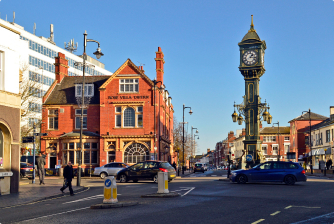 This area is steeped in the history of the jewellery trade and includes the Museum of the Jewellery Quarter. It is a unique neighbourhood built upon the skills of the city’s jewellers over 200 years. Hop off the bus here to explore Centenary Square, Symphony Hall, the ICC, the canalside bars and restaurants along Brindley Place and the Sea Life Centre. On the night of 11 December 1940, St. Thomas’s Church was destroyed by German bombs and was never rebuilt. The gardens beside it were re-designed as the Peace Garden in 1995. 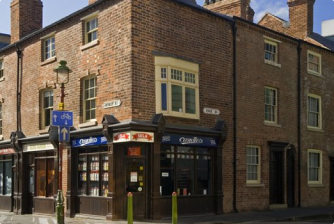 Explore the National Trust’s Back-to-Backs, Birmingham’s Hippodrome and Chinatown area. You can enjoy tours of the Back-to-back houses; tours last over an hour and run approximately every 15 minutes. There has been a church on this site since the later Middle Ages, but impressive St.Martins Church was built in 1873. Markets have been held here since 1166 and the area has been referred to as the “Bull Ring” since 1552. 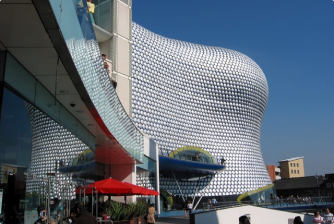 The futuristic Selfridges has become an architectural landmark and has made a major contribution to the regeneration of Birmingham. Opened in 2003, it has been praised as one of the city’s most distinctive buildings. 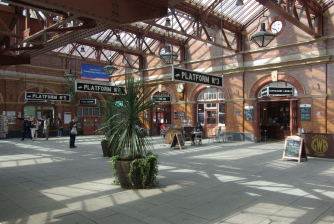 Today’s Moor Street station is a combination of the original station opened in 1909 and a newer station with through platforms that was opened in 1987. The two were combined in 2002, when the original station was reopened and restored and the newer station rebuilt in 1930s style. It is well worth a visit! The name of Priory Queensway brings together medieval and modern Birmingham. There was a priory on this site dating back to 1285 whereas Queensway gets its name from the ring road opened by Queen Elizabeth in 1971. 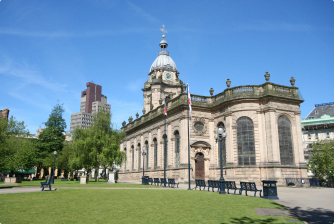 Discover the best of Birmingham on this 60 minute, 10 stop hop-on hop-off tour, starting on Colmore Row, adjacent to St Philip’s Cathedral. 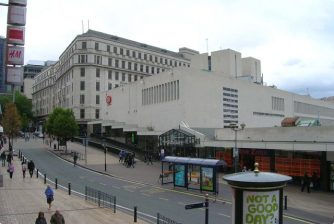 The tour has been carefully planned to take you round some of the city’s key sights including the BT Tower, the Jewellery Quarter, Centenary Square, St.Martins Square and te Bull Ring, whilst not forgetting the iconic Selfridges building. Recorded English commentary is by local historians Carl Chinn and Stacey Minott, both also associated with Peaky Tours, telling the story of the “Peaky Blinders” recently dramatised for BBC. 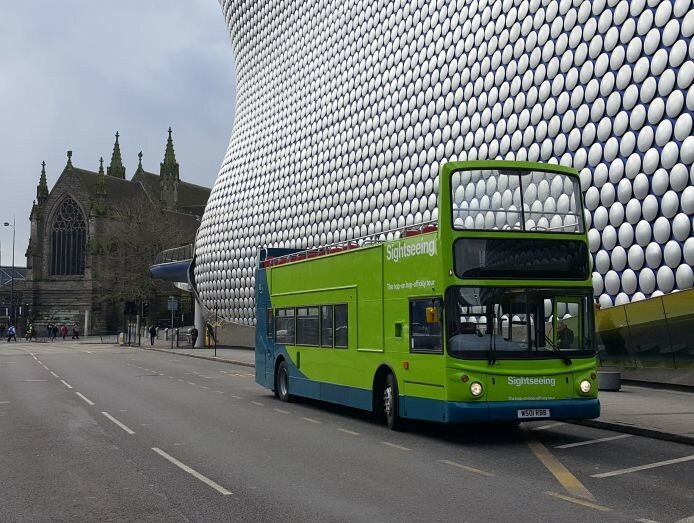 Your ticket is valid for 2 calendar days hours from time of purchase on the bus or online travel date and you can board any Sightseeing Birmingham branded bus during this time. Birmingham can claim multiple Industrial Revolution-era landmarks that speak to its 18th-century history as a manufacturing powerhouse. 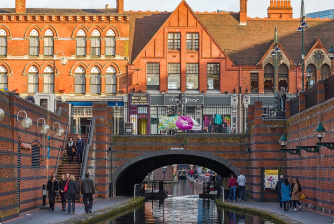 It is also home to a network of canals, with the Brindley Place development lined with trendy cafes and bars. 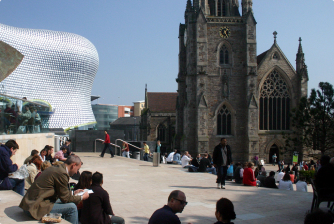 In the city centre, Birmingham continues to develop with iconic buildings such as Selfridges co-existing with the Town Hall and the Museum and Art Gallery, known for pre-Raphaelite masterpieces. 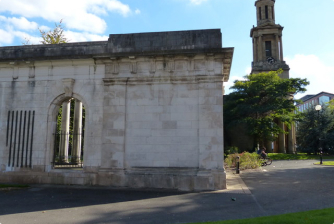 Discover Birmingham’s heritage with us from the vantage point of an open top bus and we will show you how it has grown to be the progressive city it is today.